Vancouver is a city full of condos. But does anyone live in them? Inside SFU’s Goldcorp Centre for the Arts, a long line of Vancouverites wait to enter “Foreign Investment in Vancouver’s Real Estate Market,” a three-person panel discussion moderated by journalist Jeff Sutherland. Some attendees are carrying name-brand leather purses, others the ubiquitous Vancouver backpack – the one that better resembles a kayaking dry bag. Fifteen minutes before the panel starts, the Djavad Mowafaghian Cinema is filling up. At the front of the room, panelist Andy Yan of BTA Works chats with Jim Sutherland in between taking bites of a sandwich. To the right of the stage, a CBC journalist interviews panelist Tsur Somerville of UBC’s Sauder School of Business. A few moments later, Somerville sees some friendly faces in the crowd – he fist-bumps an acquaintance before jogging back to the panel table. 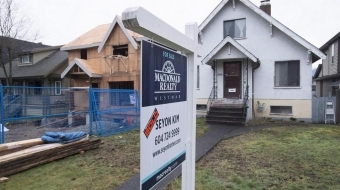 The buzz around me is replete with familiar Vancouver real estate talk. A group to my right discusses the diasporic reach of ex-pat Chinese. A few people behind me speculate about the next housing boom in the Peace Region. The fellow sitting next to me, Stephen Bohus from the City Hall Watch blog, shows me some research he’s been doing about a property on Main Street where the assessment value basically doubled between 2001 and 2012. It’s no secret that Vancouver is a growing city – that condo developments are sprouting up everywhere, that older, affordable buildings and SROs are being repurposed as chic new dwellings suitable for well-heeled urbanites. But is it true that foreign investment is fuelling the boom? This is how John Sutherland introduces Yan, whose eyebrows shoot up a bit in response. Yan is a well-known participant in the foreign investment conversation, having penned the most informative study about the “empty condo” phenomenon in 2009. Foreign investment in real estate is “really, really hard to measure,” Yan cautions. But, he says, he’s tried. 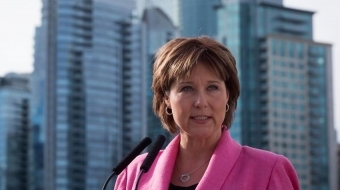 His 2009 study focused on Vancouver’s downtown, comparing data from BC Assessment, the Home Owner Grant (HOG) and BC Hydro, as well as qualitative reviews of things like strata meeting minutes. Yan tackles unit ownership first. He finds a curious difference between the data from BC Assessment and the HOG – analyzing the numbers from BC Assessment would suggest a 48%/52% split between owner-occupied and investor-owned units, whereas the HOG database indicates that the split is closer to 39%/61%. Yan calls this 10% discrepancy the “fuzz factor.” Maybe, he says, people in that 10% aren’t citizens, and can’t claim the HOG – but it’s also possible that they just weren’t aware of the HOG, or had so much money they didn’t bother claiming it. For units under 425 square feet (the oft-mentioned “micro-unit”), the percentage of investor-owned units is even higher. 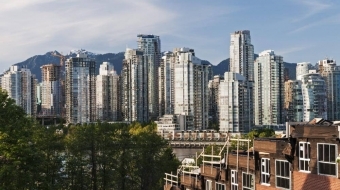 Though these units are often touted as a first-time homeowner’s entry into the market, Yan says this is a fallacy: according to BC Assessment numbers, 38% of these units were owner-occupied and 62% were investor-owned. Next, Yan discusses the “empty condo” phenomenon, using findings from his analysis of BC Hydro data. According to BC Hydro, an average occupied unit uses about 400 kilowatt hours per month. Setting the bar at 75 kilowatt hours (or the amount of energy used by your average refrigerator), Yan found that about 5.5% of the units in his study were possibly empty. At 100 kilowatt hours, the number jumped to 8.5% – and at 150, 17% of the units in Yan’s study were possibly empty. Yan’s most striking number, however, comes from one of the swankiest corners of downtown real-estate. 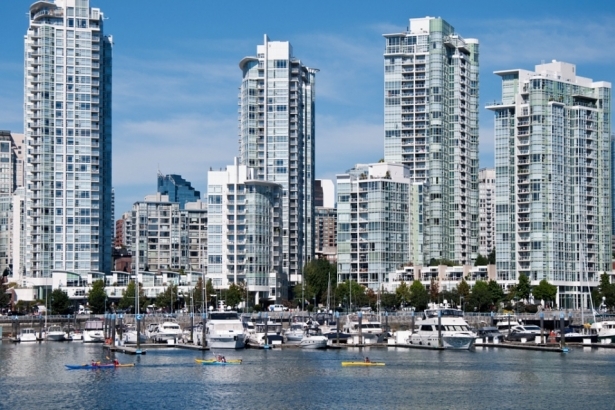 In Coal Harbour, he says, the 2011 Census finds that between 20.1% and 23% of condos are non-resident occupied. AKA, empty. Sandy Garossino – independent candidate in the last municipal election, and mother to electronic music sensation Grimes – takes the podium next. People wouldn’t care about the issue of foreign ownership, Garossino says, “if we didn’t have a severe housing affordability crisis.” She shows a slide from a recent video about wealth inequality in America that’s been making the rounds from Adbusters to Forbes. If the audience seemed to respect Andy’s numbers – listening attentively, taking some photos of his slides – Garossino’s approach positively whips them up.